Why do we use disposable gloves? Well, often they’re used for applications which involve keeping our hands clean, or safe from hazardous substances. So, why is it then, that so many companies favour cheaper disposable gloves, as opposed to spending that little bit extra on higher quality? Of course, we understand the logic of: “why should we spend more money on something that we’re only going to throw in the bin?” It’s a fair enough question, and we appreciate that many businesses are under extreme pressure to cut back and make savings wherever they can. However, there are a number of reasons to go the extra mile and supply your employees with the very best. We’re going to share some of them with you today. To us, this is one of the most important reasons to invest in quality. Let’s look at tattoo artists for example: they use disposable gloves on a daily basis, replacing them between each session. Tattoo artists that invest in high-quality gloves benefit from the enhanced dexterity. The same applies even more so for the medical glove where performance is paramount. This is largely due to the fact that cheap gloves are tighter and much more restrictive. Whereas a high-quality disposable glove will offer much more room to manoeuvre. Particularly for industries which handle chemicals and other hazardous substances, it’s important to invest in the safest possible equipment. When you invest that little bit extra in disposable gloves, you’ll be getting materials which are much thicker and therefore, safer for use. Consider it an investment in the health and safety of your employees. You should do whatever you can to ensure that they feel safe and comfortable in an otherwise dangerous environment. This will invariably boost productivity and reduce the number of overall accidents and sick-days. Leading on from “safer products”, when you consider the significant reduction in work-related injury and sick-days, you’ll save more money in the long-run. Additionally, you wouldn’t want to risk being liable for a law-suit due to one of your employees suffering from an accident that could have been prevented if in the event high-quality safety equipment was provided. 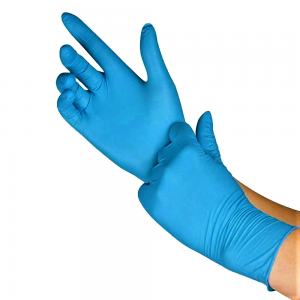 High-quality disposable gloves are far more comfortable for the wearer. In addition to that, it’s generally much easier for the wearer to don and remove the gloves. This enhanced level of comfort and convenience not only makes the job much easier, but more comfortable and enjoyable as well. If employees have to spend a minute or two struggling into a cheap pair of gloves (with the risk of ripping them), then it’s going to slow the entire process down and is therefor a waste of everyone’s time. If you’re interested in upping the quality of your disposable gloves, then you need to find an alternative supplier. 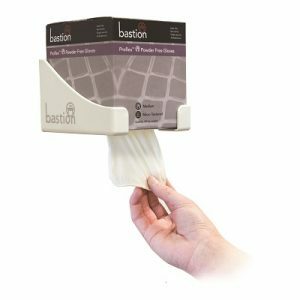 As an example: Bastion Pacific disposable gloves supplier online. Whilst there are many suppliers to be found on the internet, you should choose just anyone. Do your research, compare costs and above all: seek out nothing but the highest possible quality of product.